The essence of good bedroom decorating tips starts with planning. This is all the more important since we spend about a third of our lives in bed. So let’s have a look at…. Occupants – the number of occupants will determine the accessibility of the bedroom space as well as the size of the bed. 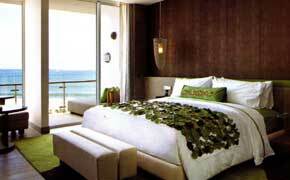 For example, you may have to choose from a double bed or a king-sized bed for 2 occupants. In turn, this also affects the space in which you position the bed. Light – this should be well-controlled with curtains and blinds during the day and with artificial lights during the night. Power – the positions of power and phone sockets will affect the positioning of lamps, phones and entertainment systems. Thus, it is important to map out these sockets to plan their placement. Storage – a well designed wardrobe system is more than just adequate shelves for clothing and accessories. It also puts everything at arm’s reach, and allows you to see where your things are. Where possible, go for built-in storage. It not only provides efficient storage but gives the room a sleek pulled-together look as well as eliminates the need to fill the room with furniture. Remember too, that beds should never be placed within the arc of wardrobe doors or opening drawers. The above is also applicable for small bedroom decor tips. as well as bliss-inducing touches like beddings to turn your shut-eye session into a therapeutic experience. However, if you’ve got a squeaky bed, take a look at…. How to Deal with Squeaky Wooden Beds? If your sleep is disturbed by a squeaky bed, this is probably due to the bed slats bending and flexing under the user’s weight. 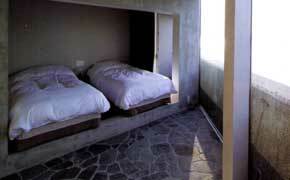 Some beds are fitted with a single thin plywood board or slat system. The type of wood used for the bed frame is immaterial in this situation. Another possibility is that the bed’s joints are loose and the bed is about to fall apart. In this instance, you can either get the bed changed or get the joints knocked back into place (which is a lot more troublesome, especially for those not inclined to DIY).